It is well known why the real estate market picks up during the summer months. From the amazing weather to having more time on your hands to look through the market, there are a plethora of reasons why the summer is the busiest season for the real estate industry. If you are looking to buy a home either in Waltham, MA or in a surrounding area, do not feel the need to avoid the summer with the thought of nothing being left as the competition is high. Think the opposite! 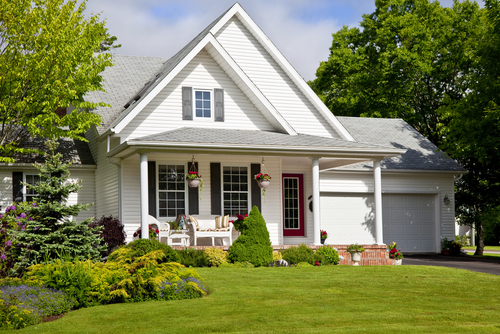 Summer is the best time of year to buy or sell a home for a reason. Below are five reasons why you should keep your head up while searching the real estate market during the summer season. One of the biggest myths about real estate is that the prices for homes increase in the summer since it is considered the “busy season.” While the competition is high, and the prices of homes usually peak between June and August, the peaking trend alone is not the sole factor when determining a home’s asking price. This price is also determined based on the number of similar homes also for sale in a certain area (which there usually is a lot of similarly priced homes on the market), interest rates, and the job market of that location. The real estate market is high in competition during the summer not because it’s easier to shop for houses but because there is a large amount of homes on the market during this time. The extra “inventory” is a great opportunity for home buyers to search through different floor plans, amenities, and locations to determine where they will ultimately want to end up. In addition, buyers will tend to feel more confident in their home search as they know there are new properties appearing on the market week by week. If you find yourself in a less competitive market during the summer, then you can use the extra inventory can give you an edge with negotiating price on a home. Some common situation homeowners find themselves in is that they need to sell their home before purchasing a new home, or they find themselves looking to sell their home after purchasing a new home. This leaves them with two mortgages but using the busy summer season to sell your old home quickly can help you get out of a bad two mortgage situation. The only thing to remember is that these big transactions do take time so if you plan to sell the same season of buying then you will want to be prepared as soon as possible. The best way to go about this is to contact a Realtor in Waltham, MA to assist you. Throughout the school year, parents can agree that most of their time and focus is around their children and the schedules they have. Whether it is soccer practice, school, band practice, etc. there is limited time to pursue purchasing a new home. By waiting through the summer, you will disrupt their schedules less and you can bring them with you to showings. This is important if you are looking to get approval from all members of your family when looking for a new home. If you find out that sellers have families themselves you can use this to your advantage, as they are looking to finalize a sale before the new school year approaches. If they have not sold their homes towards the end of the summer, then they are more likely to negotiate prices. One of the main reasons for summer’s popularity is the good weather that comes with the season. Shopping for homes during the summer allows you to see what your potential future yard could look like during this season. In addition, you will be able to get a glimpse of what the neighborhood is like if you were to purchase the house you are looking at. As you take note of the positives of the home and neighborhood during the summer you can also take this time to notice any red flags that could sway you away from purchasing.